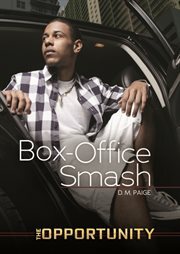 The item Box-office smash, D. M. Paige, (electronic resource) represents a specific, individual, material embodiment of a distinct intellectual or artistic creation found in Austin Public Library. Jason can't believe his luck when he opens the letter from Harmon Holt telling him he'll be interning on a movie set in LA. Can Jason check his pride and be part of the team?